I have $5,000 in mold coverage, is that going to be enough? While each project is different, with the size of the project and the associated costs ranging greatly, in general, this is enough to cover the average mold remediation project that results from a covered claim. Can you just spray for mold? Unfortunately, there is no "simple fix" when it comes to Mold Remediation. While some inexperienced contractors may offer services such as spraying to "kill" mold, no product on the market today kills mold spores in such a manner. In addition, when mold growth is sprayed by a chemical, it releases a great number of spores as a defense mechanism, which has the potential to contaminate previously unaffected areas. Spraying a product to combat or "kill" mold is in disagreement with every published industry standard and should not be performed under any circumstances. Yes, but we try our best to avoid that. There are however unique situations (while uncommon), that can increase the cost during the project, such as additional areas affected. Unfortunately, we are unable to determine if we will encounter these complications during our initial inspection. No. At Disaster Blaster, we feel it is a conflict of interest to both test for and remediate mold due to the possibility of tampering with the tests. We want our customers to feel confident that they are dealing with a truly ethical company where our number one concern is a healthy indoor environment. No. We feel confident in the work that we perform and encourage our customers to have post-testing performed by any Qualified Mold Tester that they may wish to use. A list of Qualified Mold Testers can be supplied to you. Post Testing must be completed within 3 days of the completion of the mold remediation services. The reason for this requirement is to ensure that post testing accurately reflects the state of the property immediately following the completion of the mold remediation services without opportunity for new or additional water damage or mold growth. No. You may elect to have testing performed if you so wish, however are not obligated to do so. At Disaster Blaster, we are very proud of our reputation for quality work and attention to detail, so should you have a post test performed, we ask that a copy be provided to us for our file. My post-test still shows high levels of Mold, Why? As Mold spores exist naturally in nature and are everywhere, no test result will ever return a result of 0. 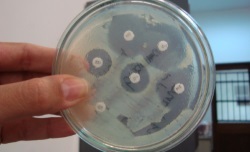 As a result, it is important to review mold testing thoroughly to determine if there exists a pattern or concentration in the affected areas that is unnaturally high. While your mold tester should be able to review these results with you, should you have questions that you would like us to address, we are more than happy to do so. Should additional steps be necessary as part of the Mold Remediation Project, we are more than happy to discuss and take those steps to ensure that the mold spore count is within what is considered an acceptable range. Mold spores are always in the air, allowing mold to grow whenever moisture is present. As a result, while we work with you to address existing moisture issues as part of the Mold Remediation process, we cannot guarantee that mold growth will not occur in the future should a moisture issue develop. We do provide guarantees that the mold issue in which we were contracted to address has been properly remediated and that the property is safe at the completion of our services. In cases where we are following a mold protocol written by a 3rd party, where we are unfortunately not able to make a guarantee, the 3rd party should be able to provide some guarantees that their protocol is accurate and the outlined steps will be effective. We hope you found this helpful! Should you have further questions about Mold Remediation or have a need for these services, please don't hesitate to Contact Us! 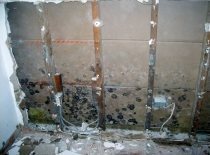 Can My Remodeling Contractor Do Mold Remediation? Your contractor found mold and is already there anyway... Is he qualified to take care of that for you? Is It Appropriate For A Mold Remediation Company To Do Their Own Testing? If testing is meant to make sure it's done right, shouldn't someone else do that? Mold Growth - The Structural Ramifications! 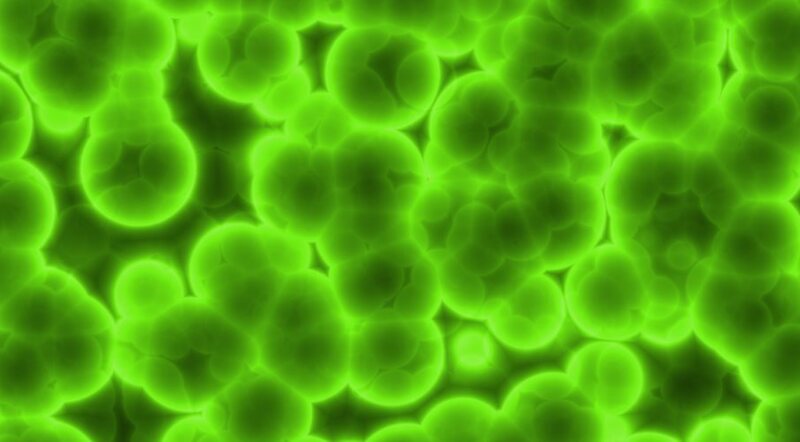 You've heard of Mold, but have you wondered about the structural ramifications of mold growth and what the mold colony is actually doing?